Taking good care of our customers is very important to us! Many customers tell us how much they appreciate our service and professionalism. By leaving a review for us, you can help our future customers know that we'll take care of them as well. It would mean a lot to us, and it would be helpful to our future customers, if you could take a moment to describe your experience with our company. In order to review us on Google, you'll need a Google account. If you already use Gmail, or an Android phone or device, you've probably already got one, if not, you can sign up for one here. 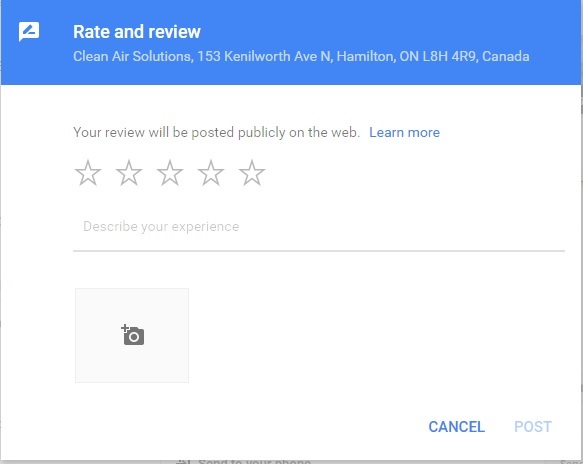 In order to review us on Google, just follow this link and a box should pop up where you can rate and review us. To review us on Facebook, just follow this link. 1. Visit our Homestars page. 2. 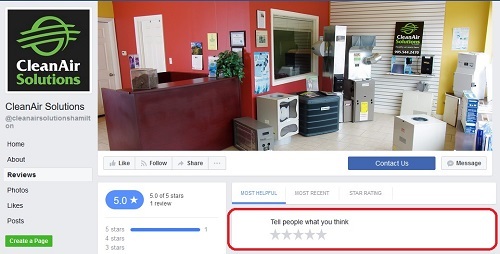 Click on the Review button in the header of the page. You might need to sign up for an account, but you can easily use either your Google or Facebook account to do so.